i need help.i was supposed to have this kat build me a sub enclosure for my 12" sub,but son has been dickin me around for months;so i gotta make my own moves. i am tryin to make a sub enclosure for a sundown audio sa 12 d2.....box dimension will be 32 x 11.75 x 16.I have a 1996 acura rl. i have been usin various software ,but hasn't really helped me in regards to proper measurements of mdf needin to be cut. Also for box requirements give sundown a call or email and they will give you the specs you need then you can cut and build. What type of music does the person listen to? Ok I'll see what I can come up for you, is the Acura a sedan or hatchback? you gave 32 x 11.75 x 16.1 which measurement is the height? 11.75 or 16.1. If 11.75 is the height this will not be enough for a 12" woofer it will need to be at least 12.75". If the height is the 16.1 measurement then we will be fine. I'll design a vented enclosure for you, this will make the bass sound awesome especially for the music you listen to. Last edited by IT Hz; 10-15-2012 at 07:16 PM. @IT Hz.....the acura is a sedan;the height needed is 16.
do u design in sketchup,just wondering? Last edited by fifteenincharge; 11-01-2012 at 05:03 PM. What is sketchup? I'll have the box designed for you tomorrow at some point. 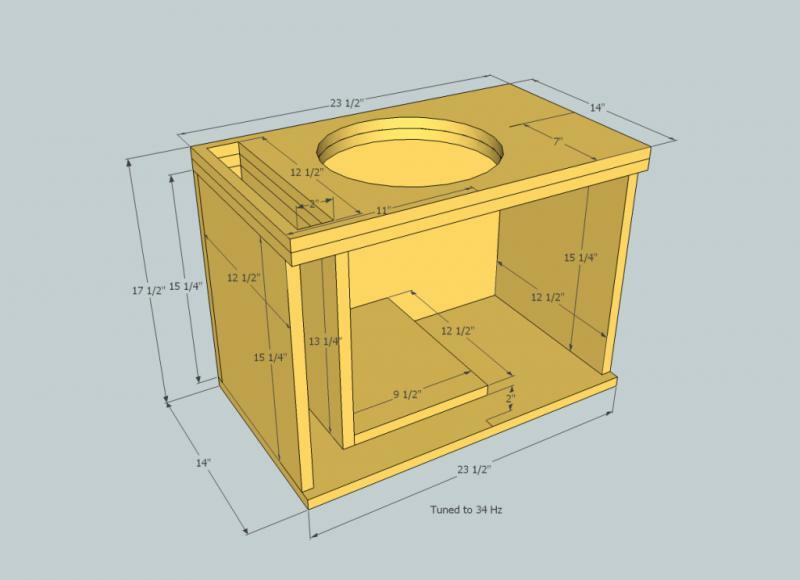 Google sketchup is a drawing program that can be used to draw the box and dimension it, once it's completed, that is, designed.